Getting your home hooked up with a high-quality and powerful surround sound system doesn’t have to be an expensive affair. I mean, its 2018 and you know what that means? Endless alternatives and flexibility!! And, there is no reason why this should not apply to your budget as well. You need to have the best without necessarily blowing your budget in any way. Surround sound systems have traditionally been expensive home appliances that you could only afford if you had a crazy amount of disposable income or if you were willing and patient enough to save for several couples of months. Thankfully, it doesn’t have to be that way anymore. Our reviews offer a comprehensive list of viable alternatives that you can consider if you want to hook your home up with a high quality and powerful home theatre system and still remain within your budget. Read on to find out about five of the best home theatres that you can buy under $300. If you are in a hurry, here’s our best pick: the Onkyo SKS-HT540. This model is a set of eight speakers consisting of seven two-way, large and multi-driver speakers and one 10” subwoofer that boosts a power rating of 230 watts. It has a sturdy and premium build quality that promises long-lasting durability yet its price is one of the lowest compared to its alternatives on the market. The SKS-HT540 is a 7.1 channel surround sound system featuring a 2-way bass flex front, a center and surround speakers each with an output of 130 watts and a bass-rumbling 230W subwoofer. Several characteristics make the SKS-HT540 the best surround sound system under $300. First, the front and center speakers have dual 5” woofers that feature the original Onkyo Micro Fiber (OMF) diaphragm technology. In addition to that, these speakers use pure cotton cones thus ensuring an extremely fast and accurate response with the subwoofer having a 10” cone. 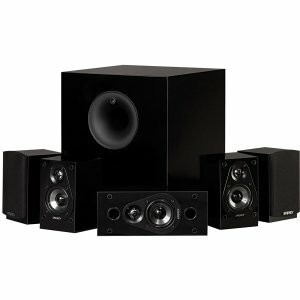 It is not easy to get an eight-piece surround speaker with the specs of the HT540 going for less than $300. As a matter of fact, most are either double the price or even a couple more dollars higher than twice its price. The X-540 from Logitech is a beast when it comes to amplifying gaming sounds. This sound system comprises of 4 satellite speakers, 1 center channel speaker and a powerful subwoofer to create a combination that delivers a three-dimensional soundstage that envelops and immerses you right into the action. What makes the X-540 particularly special for gaming is the Frequency Directed Dual Driver (FDD2) technology, which eliminates uneven frequency responses. Besides that, it also features the matrix mode, which converts 2-channel stereo to realistic 5.1 surround sound thus giving even the old games a modern quality of sound. The subwoofer in this surround sound system is down-firing, which means you get to enjoy deep and rich bass since the sound is directed evenly throughout the room. The result of this down-firing bass is extra-deep rumbles and explosions that make the games and movies more intense than they usually are. 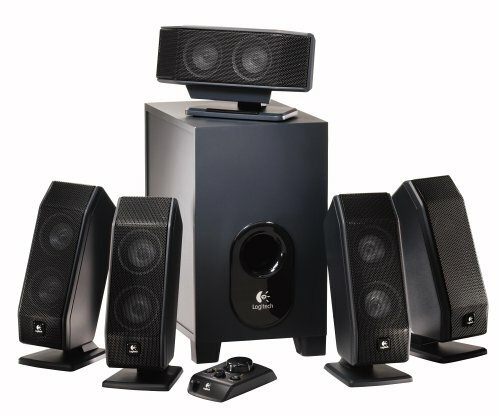 What is more, the Logitech X-540 5.1 Speaker System comes with a corded control pod that hosts the power, master volume, bass level, and matrix mode control knobs. This surround sound system by VIZIO consists of a 38-inch sound bar, rear satellite speakers and a wireless subwoofer that creates an immersive home theatre experience like no other. 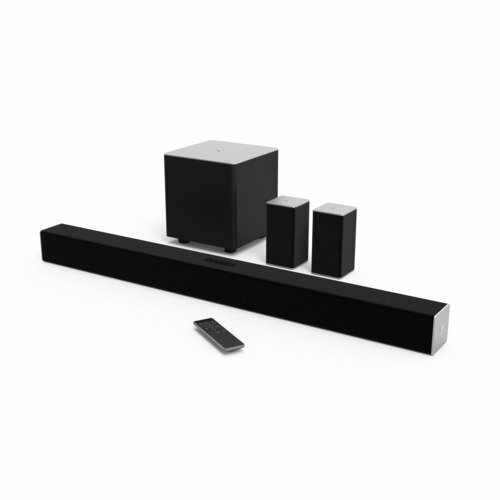 It comes with some of the best features that are only available in high-end surround systems like the Dolby Digital surround sound, which is the standard for broadcast, cinema, DVD, Blu-ray and streaming content. It also features the DTS Digital Surround which is reputable as the benchmark for high-quality cinematic surround sound. The VIZIO surround sound system is one of the best under $300 wireless surround systems that features built-in Bluetooth that allows you to stream audio right from all your mobile devices wirelessly. What is more, this system is so powerful that it delivers up to 100 dB of crystal clear sound that comes with less than 1% total harmonic distortion. This is the best choice for the size-conscious folks. The Monoprice 5.1 surround sound system comes with four 5.1 channel satellite speakers, one 8” subwoofer with a power of 200 watts and one center channel speaker, all of which are compactly sized and wall-mountable. Despite the small size that the surround sound system comes in, it is surprisingly powerful when it comes to delivering high-quality sound for your music, movies and games. It is also worth noting that this surround sound system comes at a very competitive price point, which is not usually the case with home theatres that pack the kind of specs found in this one. If you intend to mount it on the wall, it is going to take you a couple of minutes but its overall setup time is quite short and straightforward. The SKS-HT690 is an average home theatre that is capable of offering impressive power for an average music and movie enthusiast. The package is a 5.1 system that consists of a center channel, a 10” down-firing subwoofer, two main speakers and an additional pair of dedicated surround speakers. Apart from being just compact, the satellite speakers and the center channel speaker are compatible with wall mounts although they will still work fine if you place them on the shelf or a speaker stand. It is definitely going to blow your mind how neatly packaged the midrange drivers are enclosed in the all-gloss cabinets. It is also worth noting that despite being only averagely rated, the SKS-HT690 is quite capable of balancing the highs and the lows in almost all the music genres. That is perhaps because its subwoofer is down-firing but, you will not fail to notice the lack of a floor-rumbling bass even in the highest bass settings, and this can be quite discouraging. There is nothing that enhances your home theatre experience better than supplementing it with a surround sound system. Unfortunately, not everyone can afford a decent surround sound system because most of them are usually quite costly. However, if you get yourself a deal, say an under $300 bargain for a surround sound system, here are some of the buying tips that you need to put into consideration. First, consider the composition of the system you are buying. 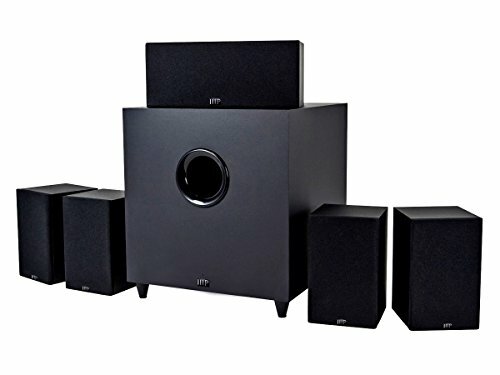 The most common surround sound systems in the market are 5.1-channel and 7.1-channel surround sound systems where the ‘5’ and the ‘7’ represent the number of speakers while the ‘1’ represents the subwoofer. For a 5.1-channel surround sound system, you get two front speakers that are usually positioned on both sides of the TV for the soundtrack and special effects, one center channel speaker is placed below or above the TV for dialogue and two rear speakers for sound effects. Secondly, find out if the system features a dedicated AV receiver or a Blu-ray player. Most HTIBs (Home Theatre in a Box) do not feature a blu-ray player. Instead, they have a dedicated A/V receiver. The power of the speaker drivers is usually rated in watts and the higher the rating, the more powerful the surround sound system. The third most important consideration is the size of the system. You should buy a surround sound system that is proportional to the size of your home. If you are living in a medium-sized apartment, it is advisable to buy an averagely rated surround system that will not be too loud for your listening convenience. Lastly, consider the price of the system you are buying. It is always a good idea to try as much as possible to stick within your budget. Do not go for one that is too expensive and neither should you go for a very cheap surround sound system because you might be trading off some of the essential quality aspects that are essential in a surround sound system. Budget surround sound systems are not common in the market. However, with a little bit of patience and careful research, you can get yourself a very affordable and satisfying selection in the market. You can boost your chances of a successful purchase by reading our review before going to the market for the best surround sound system under $300. Other than choosing one from the five that we have reviewed above, you can as well use our buying guide and make the selection yourself. When you start enjoying movies, music, and TV shows at home, it is time to consider buying a home theater system. Due to all the advanced tech features, you may think they are out of your range. But, there is good news for you because you can access the best quality in image and video when you buy the best home theater in a box under $500. There are many features available for the home theaters with the price below $500. 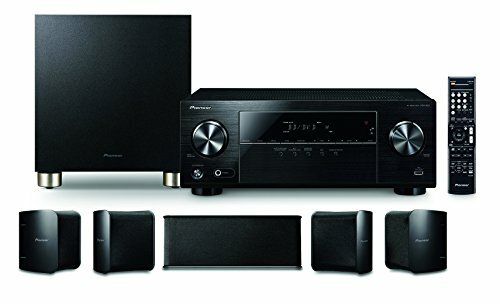 If you’re in a hurry, we’ll say right away that our favorite equipment is the Pioneer 5.1 Home Theater System HTP-074. Why is it the best? Firstly, it supports all Dolby versions, and the Advanced Sound Retriever Technology restores output of compressed audio. Its 5.1 channel AV receiver includes wireless technology. You can watch Blu-ray discs, broadcast, streaming and games. As it is ready for the next generation video standard HDR, you can be sure you will have more life-like and more brighten images. But, you still have the chance to evaluate more options because we included 4 more models with amazing features. Keep reading and find your best home theater under $500. The sound of this Pioneer system stands out. It supports Dolby TrueHD/Dolby Digital and Dolby Pro Logic which allow you to enjoy the analogic and digital material. It is complemented with a 5.1. channel AV receiver with Bluetooth. All you need to do is connect a Blu-ray or DVD player, and you will have all the high-definition entertainment you want. A sound retriever also let you restore compressed audio from MP3 and other sources. You can enjoy premium videos as you can easily connect compatible devices and they will pass through 4K/60p/4:4:4. With the ECO Mode, you can save energy while still enjoying a high-quality sound. 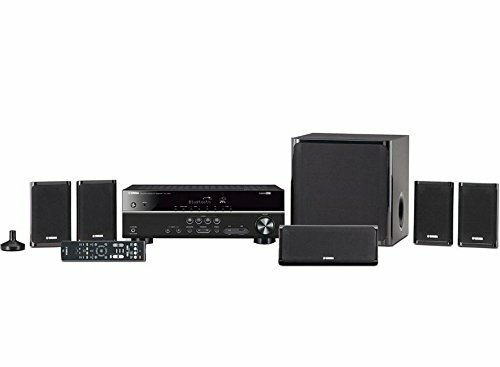 This Yamaha Home Theater equipment offers everything to get the most optimized images and sound. Firstly, the combination of YPAO sound optimization along with a 100-Watt powered subwoofer and an extra Bass technology provide an incredible sound balance. With YPAO sound optimization you get analysis and adjustment of the room acoustic. You can use it with rear speakers or install 5 speakers at the front and still enjoy the best quality. It is compatible with Bluetooth, and you can also enjoy music from your smartphone and other devices. Images are enhanced through the combination of Dolby Vision and Hybrid Log-Gamma technology to provide the highest quality with great contrast and bright colors. Despite having little space available to install your Home Theater in a Box, it is still possible to enjoy the best quality with this equipment. Its system comprises a six-piece speaker system that suits perfectly in small rooms. The combination of this system with an explosive Bass in the subwoofer provides an authentic surround for all your space. You can play anything from your smartphone, laptop or PC because it includes Bluetooth wireless technology. The receiver can decode the most widely used soundtracks formats for Blu-ray Disc. The HDMI terminals allow you to play the last video formats and there is an audio return channel (ARC) for amplifying TV broadcasts. This equipment also features analog amps that control the power and enhance music, videos, and video games. The Energy 5.1 stands out for its 200 Watts subwoofer that provides a unique quality of sound. It includes 4 satellite speakers and patented Ribbed Elliptical Surround. These speakers reproduce the sounds in a uniform manner which creates a smooth sound that reaches all areas of the room equally. A center channel speaker provides centered sound and the Convergent Source Module offers low distortion, wide dispersion, and excellent performance. Music and movies feel more real than ever. With this Yamaha model, you will get the highest standards for HDMI with 4K video transmission. It doesn’t have degradation and fully complies with copyright protection. It includes all the Yamaha technology that comprises: Virtual Cinema Front that allows you to install the speakers at the front if the rear speaker can’t be placed; extra Bass to enhance the performance of the 100Watt subwoofer with YST technology. The center channel and 4 surround speakers can be easily mounted in the wall. To enjoy the benefits of the best home theater in a box under $500, it is not necessary to understand how it works. However, when you have to choose among several models, it is crucial to understand the underlying technical features. Video and audio are the most essential features, but if you want to make your home theater to combine with your décor, you should also consider the design. The best brands offer a wide range of equipment, and they include many years of technical experience to make them work as well as they do. To achieve the best audio, it is important to consider the subwoofer. It is designed to reproduce low bass frequencies. Most of them come with 100Watt and exceptionally they may come with 200Watts. But the subwoofer is not the only element. The number of speakers and how you must place them to obtain the best sound is also crucial. The amount may vary from 4 to 6. In any case, they would be fine if the surround technology works well. Dolby sound features are also important. That technology supports almost every single movie that is available in the market. According to technological changes, there are several versions of Dolby. Therefore, if you want to make sure you can access all types of movies with good sound, make sure you include all the Dolby versions. One important reason to buy a Home Theater in a box is the video feature. We know that images get enhanced with this type of equipment. As the technology evolves, images get better and better. In addition to the movies, now you can enjoy your favorite games and streaming TVs such as Netflix and Amazon Prime, to name a few. When choosing the video features the most important thing to consider is the High Definition feature. That is what makes the difference, and fortunately, most of the home theater systems include this feature. Current TVs may include amazing features. However, films, TV shows, and streaming broadcasting are continuously adding new and more sophisticated elements. Home Theaters in a Box are an extraordinary way to catch up with all them. The technology they offer, the easy way to install them, and the affordable price make them the best option. You can select the best audio and video features to enhance your experience, and you don’t need to overspend to do so. No one is safe from the possibility of getting speed tickets. If you are a frequent traveler on the road, the risk is even bigger. That is why radar detectors are a must-have to avoid such risks. If you are considering to buy one of them, the best radar detector under $50 is among the top options you may consider. Just as Police technology develops, radar detectors also evolve. These devices are getting better prices every day while adding some of the most outstanding features. Despite its low cost, a radar detector under $50 can protect you in the most efficient ways. 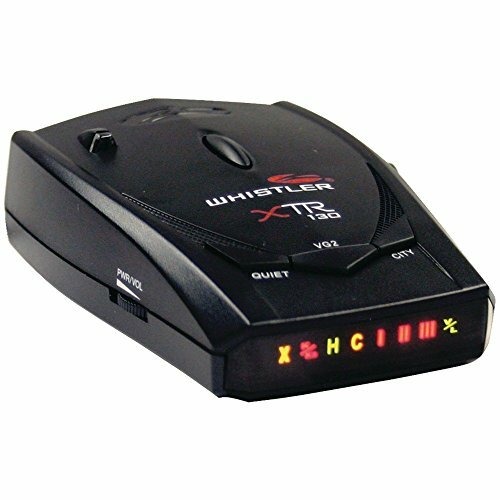 To help you make the best decision we selected the Whistler XTR-265 Laser Radar Detector as the best radar detector under $50. This device does not skimp some of the best qualities as it offers 360° of protection and has visual and tone alerts to warn you. It also provides full protection against all the radar guns and is easy to install. If you miss some features, there are still 4 more chances to find your best radar detector under $50. Keep reading to find them all. Our favorite choice includes the best qualities. Full protection is guaranteed with its 360° of advance speed detection that covers sides, front and the rear. Its tone alerts will let you keep all the attention on the road, and you still keep visual alerts with distinct symbols if you need them. Besides protecting you from all radar guns, X-band, K-band and lasers, it also covers VG-2 detection. Its default mode is for the highway with the highest sensitivity, but you can switch it to city mode to avoid false notifications for door openers and alarms. In these cases, you will only receive an initial alert, and it will not get stronger unless it becomes a real one. It also protects your car as it includes a battery saver mode that shuts off within 3 hours if you forget to turn it off. You can add an Intellicord for a reasonable price to control the radar detector remotely. That is a nice deal that should not be missed. 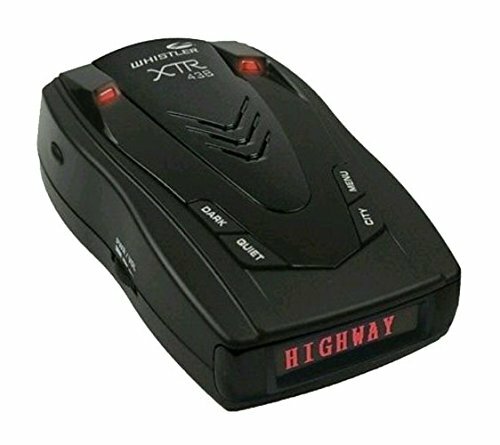 This radar detector stands out for its heterodoxy technology that detects gun radars at extended ranges of coverage. It reaches distances from 250 to 2500 meters. With VG-2 technology is immune to “radar detector detectors”. It is also able to detect Ku band radar gun and the POP radar gun when set in super instant mode. 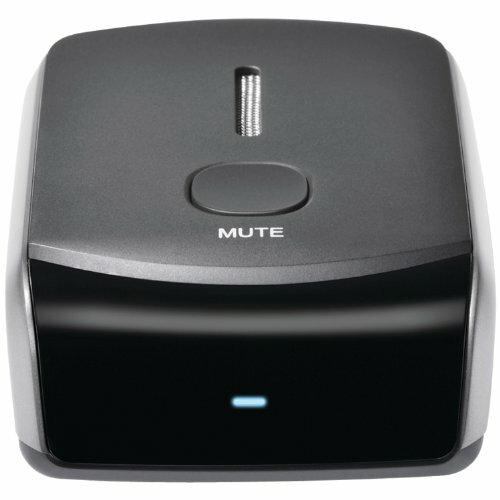 It has a mute function that allows you to turn off the voice alarm with just one click. The detector has two city modes and the highway mode for maximum accuracy to detect the signals. This device can remember the settings for indefinite periods of time. 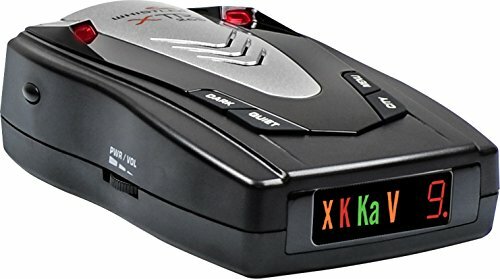 This radar detector can be connected to your cell phone through an App to display visual alerts. It works with iPhone and Android operating systems. Radar detectors that connect through cell phones foster collaboration with other users as they can set alerts through the app. With this radar detector, you become part of an iRadar Cobra community, and you can control all its functions from the app too. You can access a map with information about red light cameras, live police location, caution areas, and radar/laser detection areas. This device also keeps its own features such as 360° protection and visual alerts. If you have Android OS, you can get snapshots of traffic in your area and get route suggestions. It also supports you with a car finder that allows you to find your car at any parking lot. As roads and camera locations are always changing, you will always have the last information available through the app. With this model, you will get the best deal. A bargain price for a radar detector that has it all. It has 360° of perimeter protection. Real voice alerts that may vary according to the band received and visual alerts are displayed with symbols. You get it with a power cord, a windshield bracket kit and a user guide for easy use and installation. A quiet/auto quiet mode may reduce the volume after the initial audio alarm and keep the visual alerts still going on. It also includes an innovative Safety Warning System (SWS) to keep you informed of highway safety and possible situations like road construction issues, road hazards, detours, and similar things. This is a simple radar detector, but its powerful functionalities offer you full protection. It has 360° coverage for radar and laser for maximum protection, and the VG-2 is the best for “radar detector detectors” (RDD). It covers all the bands and offers battery saving in selectable vehicles. It has a brilliant text display that lets you easily see all the signals. You will also get three different city modes to avoid false alarms plus a highway mode. You will get a premium device at a minimum price. Now that you decided to buy a radar detector, it is critical that you pick the best and most suitable for your needs. In general, you need to choose a device that covers as many bands as possible. Fortunately, most of them include all 4 bands that police patrols use. If you are familiar with the use of your phone and many Apps, then a radar detector with cell phone functionality is ideal for you. You should also consider what type of driver you are. Are you constantly on the road? Or are you a city driver? Usually, radar detectors are very well designed for highways, but city modes are not the rule. Therefore, choosing one with many city modes is essential if you only use it for driving around the city. You would avoid annoying noises and unnecessary false alarms. Modern radar detectors may also include many functionalities such as car finder, quiet modes and fancy visual and tone alerts. For these elements, it is only up to you what you want to obtain. What really matters are the main functionalities of radar and laser detection. Additional settings can make it easy for you to handle the device, and those would be important too. In any case, the best detector under $50 will protect you efficiently from getting unwanted tickets. Is A $50 Radar Detector Better Than A $650 Detector? A radar detector is a valuable tool. Keeping your ticket record clean is always a priority. But, you don’t have to invest tons of money to achieve this goal. Although the first strategy is always to follow the rules, it is also true that daily activities can keep you on the edge. For this cases, a radar detector is the best option. If we were to go back in time, it would be undeniably certain that dive watches have come a long way. A comparison of the modern wrist watch that qualifies to be a diver with its ancient counterpart will reveal the great milestones covered in this industry. Also, looking at the growth of the industry itself, it is absolutely crystal clear that one would be spoilt for choice if they were to select a dive watch in 2019. Although this is a good thing for the customer, it gets tricky when you have to put other factors such as the cost, your preferences and purpose into consideration. Fortunately, our review covers the best dive watches under $2000 to make it easier on your side to make the best choice that is still within your budget. Read on to find out more information about top five dive watches with price below $2000. 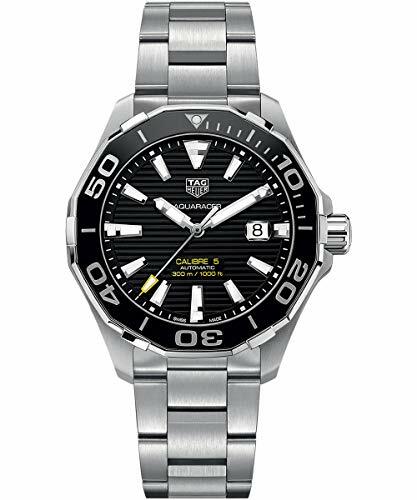 Just in brief, our best overall diver watch under $2000 is the Tag Heuer Aquaracer Calibre 5. It is a high-end dive watch that also fits perfectly with office attire yet it comes at an incredible price point. The Aquaracer Calibre 5 satisfies all the considerations that are necessary for the selection of the best dive watches under $2000. Tag Heuer is a top Swiss brand that has been in the market for a long time. The manufacturer did an impressive job of putting together an immense collection of experience to come up with the Aquaracer Calibre 5. This watch is simply the best. With only 40mm of diameter, you can hardly find a thing to complain about its size whatsoever. That aside, the Aquaracer’s design, fit and finish are to die for. The case, bezel and band feature a durable stainless steel material. On top of that, it comes with a bold black dial and some luminous hands and hourly indexes that make it quite visible in the dark. Its easily readable date window is located at the three o’clock position. The Tag Heuer Aquaracer Calibre 5 is quite versatile as it fits both office and athletic attire. It is powered by the Swiss Automatic movement, which means that you will not have to replace the battery. On top of that, this watch also features a durable anti-reflective sapphire crystal and a water resistance of 300 meters deep. Made with a heavy-duty stainless steel case, crown and bezel with a diamond-like coating, the G-Shock GWF-D1000 is an all in one dive watch that comes with an impressive collection of features. 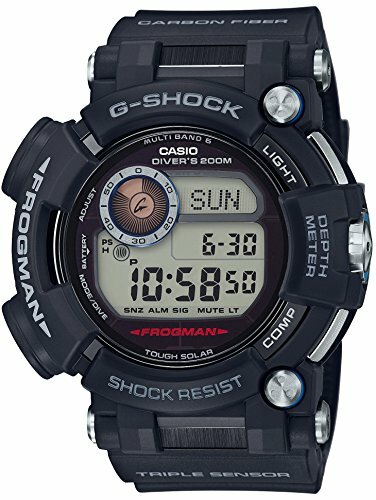 These include Casio’s legendary shock-resistance function, solar charging system and a built-in radio signal receiver. On top of that, this model also features a depth gauge mode which measures the depth of water from the range of 0 to 80 meters and dive time for up to 6 hours. When in diving mode, you can activate the automatic log memory to take diving measurements at a depth of 1.5 meters. 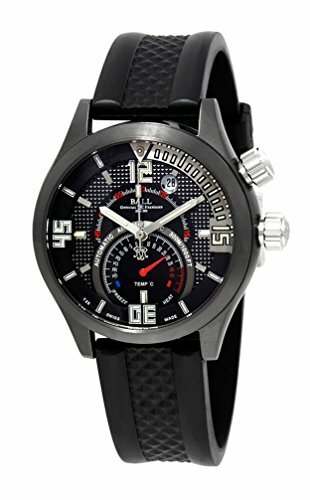 It has an ISO certified water resistance of up to 200 meters, which makes it one of the best dive watches under $2000. One of the things that make this model stand out is its precise and accurate radio signal receiver that works perfectly in the US, China, Europe, and Japan. The Ball Engineer Master II Diver watch was developed in 2006 in commemoration of Guillaume Nery’s accomplishment of setting a –109 meters dive in Villefranche-sur-Mer. Its design features a black textured dial and 2 black sub-dials with a thermometric indication, the date window at 1 o’clock and a black textured rubber strap with a buckle. Like all other watches from the Ball Company, this limited edition is highly precise and reliable. It provides the simplest and safest solution when it comes to timing a dive. You can rest assure that the bezel will not move under water because the rotating inner bezel operates with a screwed-down crown. With this watch, you can easily measure temperatures in the environment from –30 to 110 degrees Fahrenheit with a 3% precision and see the readings displayed at the 6 o’clock position. 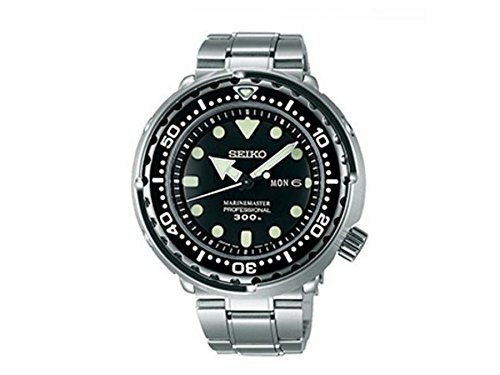 The Seiko Marine Master Professional 300M “Tuna” SBBN031 is another one of the best in our best dive watches under $2000 review. The features and specs of this dive watch will definitely amaze you. First, the SBBN031’s case measures around 48mm in diameter and approximately 14.7mm in thickness with a shroud and bezel constituting a huge portion of the watch. The brushed shroud functions as a protective element for both the case and the unidirectional bezel. The dial consists of Seiko’s LumiBrite compound and some pad-printed markers. 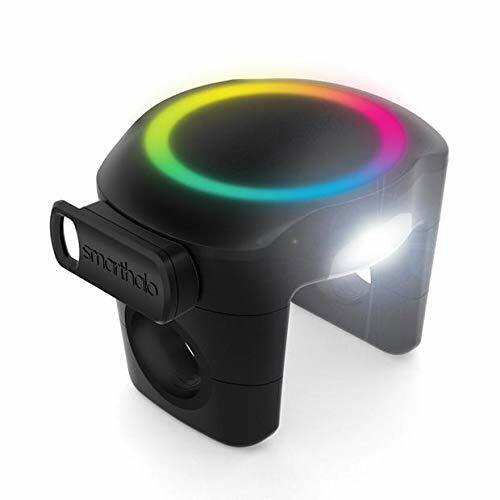 The LumiBright compound glows bright green to enhance visibility, especially in the night. It comes with a 22mm stainless steel bracelet which can be tapered down to 20mm using the diver’s clasp. That makes it a very comfortable watch on the wrist because the weights of the bracelet and the watch head are well balanced. The Oris Aquis Small Second Date is an authentic dive watch that was introduced in 2017 at Baselworld. It has a 45.5mm wide and 15.7mm thick brushed and polished stainless steel with a screwed down back cover that features a special engraving. It comes with a black ceramic bezel which is uniquely designed to rotate unidirectionally and has a white minute scale. 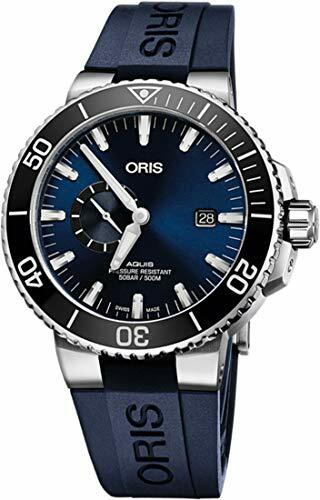 This model has a blue main dial with ‘ORIS’ under the 12 o’clock position and the date window at three o’clock and a subsidiary second’s dial at the 9 o’clock position. The positioning of the seconds’ dial separate from the main dial is an ideal design feature convenient for divers as it allows them to easily focus on the position of the minute’s hand. It is also scratch resistant thanks to the sapphire crystal coating inside that is also anti-reflective for easy visibility during the day. Choosing a suitable dive watch can be tricky even with the large number of alternatives available on the market. For this reason, it is vital for you to make use of a buyer’s guide such as this. Our buyer’s guide provides you with all that you need to know about a dive watch. And in this particular case, we let you into the factors to consider in order to get yourself some access into some of the best dive watches under $2000. First, you need to pay attention to the water resistance level of the watch you are about to buy. According to the International Organization for Standardization, a good dive watch should be water resistant for at least 100 meters depth. Secondly, you should consider the levels of visibility and legibility not only in the dark but also in the daylight. The best dive watches under $2000 should have features and functionalities that make it easy for you to read in the dark. Luminous dial and hands make it easy for one to read the watch without much straining. The third consideration in the choice of an ideal dive watch is magnetic, shock and chemical resistance. If you are looking to buy a dive watch that will stand the test of several chemical reactions, then you need to consider the materials it is made from. Stainless steel is a good material because it does not react to most of the chemicals. Shock and magnetic resistance are also great characteristics of a dive watch. Finally, the cost of the watch cannot be overlooked. For the above watches, all of them satisfy the criteria of selection because they cost under $2000. You can only feel completely satisfied if your purchase is within your budget and it gives you great value for your money. Tag Heuer Aquaracer – Does it deserve the hate? If you know what to look for, choosing the best dive watch is not a brainer. The above watches are not necessarily the ultimate choice for everyone looking for a diver’s watch. But, if you make use of the buyer’s guide, you are guaranteed to find your perfect choice. Also, if there is a brand or model that you’d like us to review but we haven’t done that yet, feel free to let us know about it and we’ll make sure to check the watch and, if it’s a worthy model, include it in the article. Thank you! The biking experience is always evolving and is taking many facets of our lives by storm. Nowadays, it is common to use your bike to commute, go shopping, and exercise or just to take a ride for fun. Whatever you choose, it is a great opportunity to wear the best fitness tracker for biking and measure all the benefits you can get of your physical activity. Lucky for us, the best tracker for biking may also include other functions to get the most from many other activities. There is a wide range of fitness trackers available, but after checking the pros and cons of many of them, we concluded that the best fitness tracker for cycling overall is the 3D Fitness Tracker Moov Now. It includes 3 times more sensors to offer more accurate readings and is able to teach you biking techniques. It is lightweight and can be used in the arm or the ankle for maximum comfort when you cycle. But, you don’t have to worry if this model doesn’t fit you. We selected a total of 5 great fitness trackers that will let you know the best style and features for you. This model is neat and simple. It stands out when it comes to the accurate representation of real-time data. It is possible because it holds 3 sensors. It also measures cadence, distance, speed, and elevation when you are biking. In addition, it features an innovative real-time coaching so you will always have extra help to get motivated while exercising. It also tracks your progress, monitors your motion and keeps you always updated on how you are doing. You can do it visually through your mobile device or through audios. It is available in 6 different colors, is perfect for outdoor cycling as it is water-proof with 6 months of battery life. This tracker is perfect when you need to take care of your heart. It features a one of a kind sensor to guarantee the most accurate heart rate monitoring by using real-time data. A sleep function monitors and analyzes your sleep. The wake-up alarm works with a discrete vibration but is hard enough to wake you up when it is needed. 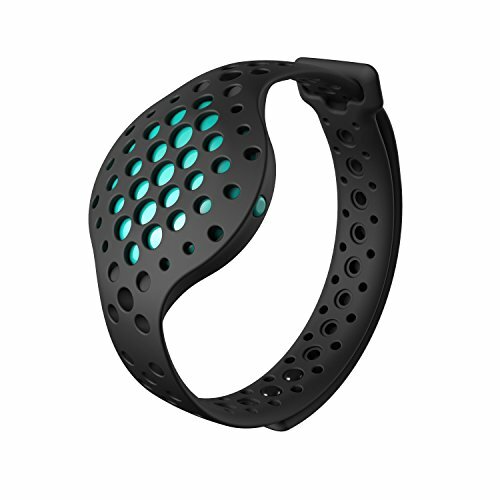 It features a cycling tracker that you can combine to measure your heart rate and calories. It can be used for other sports besides biking/cycling. It also includes a camera and you can check your social networks. You never have to worry about losing it because it includes a find-phone and an anti-lost function. This model is a complete innovation that includes a fitness tracker for biking. It is a luminous halo that you install in your bike to guide you through the road, see and be seen. It also includes navigation with GPS system that guides you using turn-by-turn signals. SmartHalo automatically starts working when you start pedaling. It tracks the time, distance, calories, and average speed. It also automatically stops when you stop pedaling. You just need to focus on the road. This is a device built for bikes only and all is features are oriented to ease and benefit your ride. The Mulk HD stands out for the variety of functions it offers. You can set it on biking mode and track the distance, speed and calories burnt. Each sport has its own mode. Its waterproof, dustproof and sweatproof design make it ideal for outdoor biking. It also tracks blood pressure, blood oxygen, and heart rate. You can keep connected as you receive call and message notifications from social networks. The IBAND app allows you to track all the information you collect in a very comprehensive way. A G sensor measures the quality and status of your sleep from deep to wide awake. The colorful screen and numbers are perfect to see all the data without shadows. This is a fitness tracker with all the functionalities you can expect. 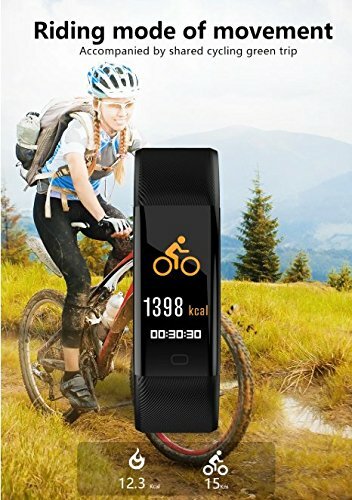 This fitness tracker works perfectly well for biking and also includes tracking for 14 additional sports such as yoga, swimming, dancing, tracking, tennis, spinning, and more. It gets connected to GPS and you can receive SMS, calls and all social networks. It measures sleep status and all-day calories burnt, steps, distance and active minutes. Letscom Tracker is available in many colors, and you can buy replacement bands to have a lot of fun. As it is waterproof and sweatproof, you can wear it all the time. Fitness trackers gained a lot of popularity in the last years. First models were not taken very seriously, but the benefits of using them proved they are a terrific tool to improve your physical health. Many people were always trying to improve their resistance or achieve fitness goals, and they failed over and over again. Fitness trackers solved this problem. You don’t need to be a professional athlete to obtain the same benefits they get. There are many sports you can practice, and there are many daily activities you can track to get the most of them. If you bike for fun, sport or just need to do it to go to work, you have an excellent opportunity to obtain relevant data. Your goals and this data will give you a chance to improve your health. As you have the option to wear your fitness tracker permanently, you also have the opportunity to include a variety of features that better fit your lifestyle. Knowing your biking routines prior to buying the tracker is helpful too. Fitness trackers took advantage of new technologies to add some of the most innovative features. Despite trackers are tiny pieces, they are able to collect and process a massive amount of data. But, you don’t need to pick them all. It depends on how you plan to use the fitness tracker. If you want it only for short periods of time, features like durability don’t really matter. But, if you plan to use 24/7 it is better to find many of them. In general, a lightweight feature is advisable in any case. When you bike or practice any other sport you want the freedom to move. If you sweat profusely, a sweatproof and waterproof feature is ideal. Many people want to keep connected while biking and thanks to the tech it is possible. You can select fitness trackers that allow you to pick up your phone calls and receive your messages from a variety of sources. You may keep all the fun by choosing colorful wristbands too. Urban bikers feel particularly attracted to devices that enhanced their bikes. The best fitness tracker for biking is available in many models and different prices. The most critical elements to consider are the activities you will perform and the time/schedule you will be using it. With all the technology available you should not be afraid to choose among the wide range of models and seek for the features that better fit your needs. Fitness trackers are becoming very essential gadgets in our everyday lives and this is mainly because more and more people are getting more conscious about healthy living. Similarly, the number of different brands of fitness tracking devices has continued to increase in the market as manufacturers strive to meet the growing demand. As a result, the market has become somehow crowded with these devices thus making it a little bit difficult for the average shopper to make the right decision. Our reviews are usually detailed enough to provide you with just the right amount of information regarding the choice of the best fitness tracker for a triathlon. Just so you know, the best triathlon tracker is supposed to have the three essential metrics which include the swim mode, the running/lap timer and the cycling mode. Based on our professional inspections and a couple of tests, we recommend the Garmin Forerunner 920XT. This tracker comes with an integrated GPS and an accurate accelerometer and has a waterproofing rating of 5ATM in addition to the open water swim mode. If you are an elite runner or just an amateur looking to undergo a professionally guided running exercise, then you should consider the Garmin Forerunner 920XT your perfect companion. It packs a great collection of functions with the Running Dynamics being its headlining feature and others including the VO2 max estimate, live tracking and smart notifications. If you are into cycling activities, you can get the most out of your training with the Garmin Forerunner 920XT since it is compatible with sensors like the speed, heart rate and cadence. Additionally, when paired with ANT+ power meters, you will have access to power metrics that will be displayed on the screen. The Fitbit Versa is an excellent workout companion with an incredible price point making sure you get the most value for your money. Whether you are into swimming, running or cycling exercises, the Fitbit Versa has everything covered for you with its more than 15 exercise modes. What is more, you can choose to activate an exercise mode by yourself or let the SmartTrack feature do it for you automatically. Its water resistance capability of up to 50 meters makes it an ideal fitness tracker for all types of water-based activities. 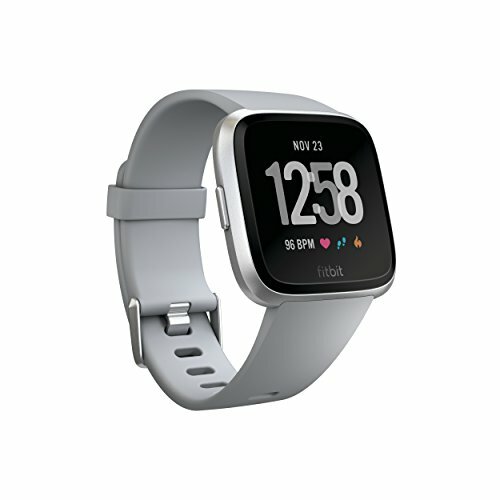 The Fitbit Versa is not just an ordinary fitness tracker. It runs on a proprietary software called FitbitOS which brings you all the experience that would only be available in a full-fledged Smartwatch. For example, you can sync it with your smartphone and get all the latest alerts regarding your workouts and beyond. Also, if you want to switch things up a little bit, you can get yourself the Fitbit Versa Special Edition that is NFC-enabled so you can make faster payments. The Garmin Vivosmart 4 is on the race for best fitness tracker for triathlon. Here’s why. It combines a slim and smart design with great fitness-tracking features making it a must-have for an all-round workout program. It comes in various colors to give you a wide range of options to choose from. 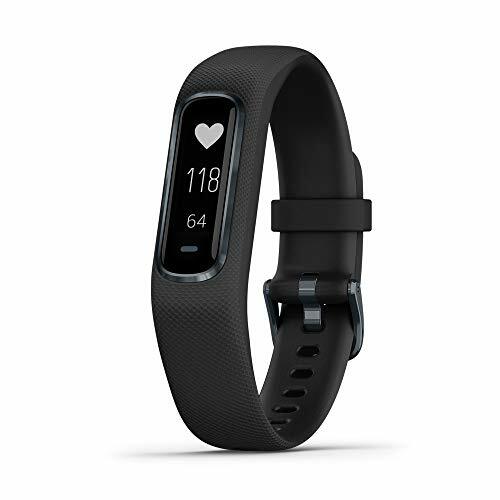 Furthermore, the Garmin Vivosmart 4 also features a wrist-based pulse oxygen sensor which gauges levels of oxygen saturation in your blood. Well, even though this is not, in any way, a medical device, you will agree with me that it can be quite useful in a workout session of whatever nature. The Vivosmart 4 has a long-lasting built-in battery that can last up to 7 days when the Pulse Ox sleep tracking feature is deactivated. If you sync it with your Android device, you get to receive vibration alerts for call and text notifications, and you can reply to them as well. So, this is to say that the Vivosmart 4 is not only a fitness tracker but also a smartphone in some way. The Polar V800 GPS Sports Watch is specifically designed to fit the training needs of professional athletes that exercise with the highest performance goals. It comes with a built-in GPS that measures your speed, route, and distance during a hike, ride or run. In addition to that, it has an advanced training watch which lets you create custom profiles for each training activity and obtain accurate and precise data. 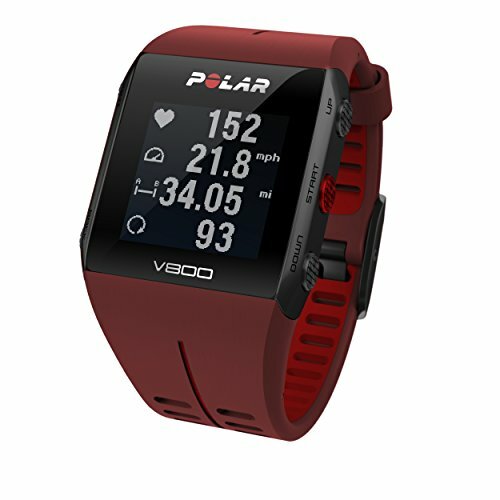 The Polar V800 GPS Sports Watch is compatible with both Mac and Windows platforms, and this triathlon watch is Bluetooth-compatible. 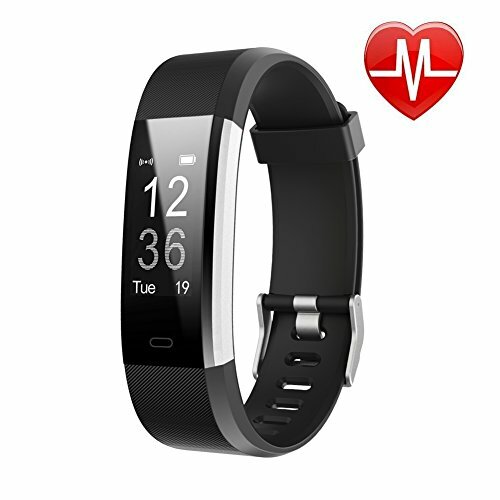 In addition to that, this fitness tracker also comes with the Polar H7 heart rate sensor which works perfectly both during training and swimming. The Suunto Ambit3 Sport is a modern fitness tracker from one of the oldest manufacturers in the market. That means that you can expect nothing short of excellence in this device. And true to it, the Ambit3 actually does impress on a number of metrics. For starters, if you are using it to track your swimming, running or cycling activities, you get some of the most precise and accurate results thanks to the 100m water resistance and the built-in barometer, altimeter, compass, and GPS. 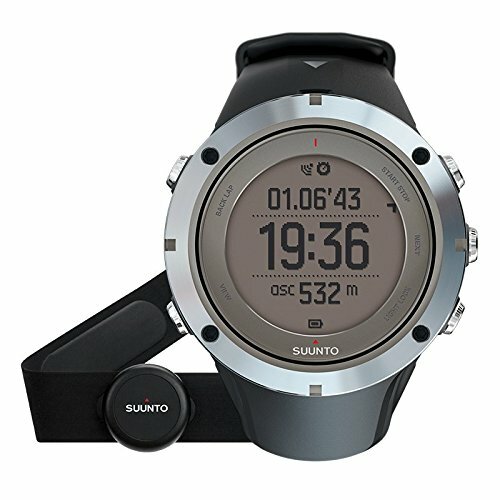 The Suunto Ambit3 also comes with Smartwatch-like features like the capability to sync with your smartphone and receive and respond to text and call notifications. Also, it comes with a Suunto free app called Movescount, which you can use to adjust the watch and create visually enriched motion pictures to share. As seen earlier, swimming is an important part of triathlon. As such, the best fitness tracker for triathlon needs to be one that gives not only accurate but also precise swimming data. But before that, you need to look out for its waterproofing and ability to function in the open water swim mode. Its ATM rating is also critical, and the best fitness tracker for triathlon should have an ATM rating of at least 5. You should also get a fitness tracker that measures your swimming efficiency. This is usually calculated as the number of strokes per pool length. Although run tracking is a standard feature in a fitness tracking Smartwatch, it pays to have additional features. An ideal running tracker should have at least one advanced feature. These advanced features include ground contact time (GCT), cadence and vertical oscillation. GCT is the measure of the time between your foot hitting the ground and lifting off. Cadence, on the other hand, is the number of steps one takes per minute and vertical oscillation is the time you bounce up and down during a step. If you get the best fitness tracker for triathlon, you will obtain these three running metrics in a precise and accurate form. This is another standard activity in a triathlon exercise. So, if you want the best fitness tracker for triathlon, then you need to consider the availability of some essential features, and this includes the power meter and an accelerometer. In this regard, consider buying a fitness tracker that comes with the ANT+ functionality. That will enable you to pair it with a power meter and hence get much more accurate cycling results. As for the accelerometer, the best fitness tracker for triathlon should have it integrated in the unit. 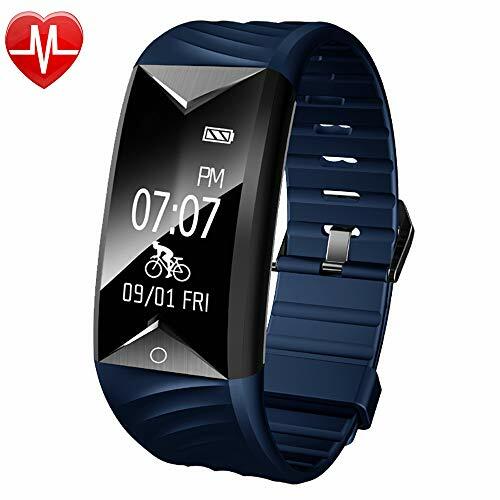 In conclusion, getting the best fitness tracker for triathlon requires that you put into consideration the swimming, cycling and running activities. 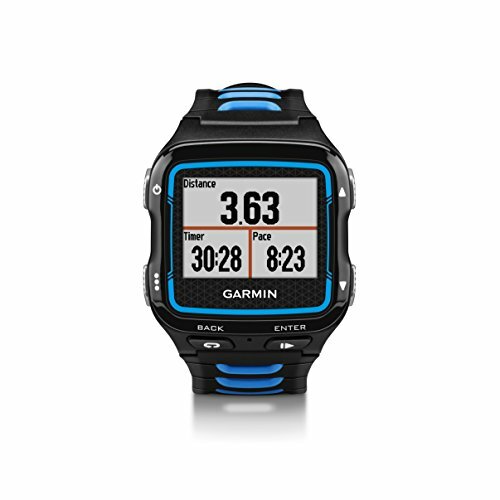 The best tracker is the one that gives you accurate and precise data in all the three areas of activity and from our professional review and evaluation, we recommend the Garmin Forerunner 920XT as the best fitness tracker for triathlon. When you are getting more serious about your physical health, there is no better way to start planning your exercise routine than buying an electric treadmill. It is an excuse-proof machine that guarantees you will always have your daily dosage of cardio. Whether you have it at home or the office, it is an easy and affordable way to accomplish your goals. Among all of them, the best cheap electric treadmills under $200 have all the necessary functions and don’t affect your budget in a significant way. Although you can find here the top 5 best cheap electric treadmills under $200, one of them stands out for being the best overall. 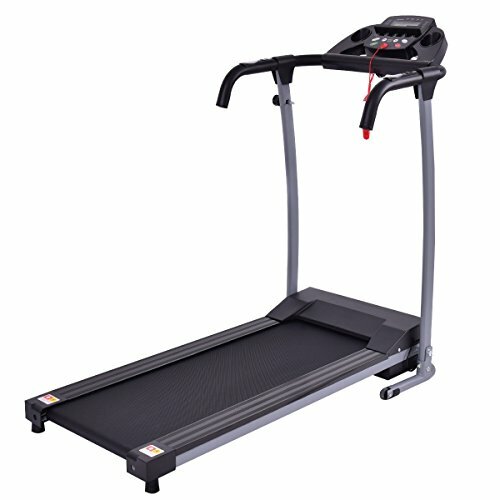 It is the Goplus 800W Folding Treadmill which is manufactured in high-quality steel. It includes hands rails for ultimate stability and a LED panel to measure your speed, distance, calories and heart rate. When using it you will never get bored as it also includes IPAD and cell phone holder. But, if you want more options to compare and decide, keep reading to check the rest of them. Goplus 800W Folding Treadmill 38.2" x 14"
Confidence Power Plus 38.5" x 14"
Murtisol Folding Treadmill Electric 1100W 39.4" x 13.4"
SpiningGame 1100W Folding Electric Treadmill Portable 39.3" x 12.5"
Goplus 1100W Folding Treadmill 39" x 14"
This is definitely the best choice. The sturdy steel of its frame is perfect to hold its 38.2” x 14” running belt of PVC that can hold up to 220 Lbs/90 Kgs of weight. It is easily foldable as it only weighs 59 Lbs and includes wheels to move it and store it everywhere. Its handrails also have speed and stop buttons as well as heart rate functions. Its LED panel with functions to measure your speed, distance, calories and heart rate make it ideal to advance in your level of exercise. While running, you can catch up with your favorite Netflix show as you can use your IPAD or cell phone. To make it even more fun, you can choose between black/grey and pink/grey color combinations. This electric treadmill combines the best quality and the best features to help you advance through your exercise program. In these days, it is getting more common every day to set up an office at home. In these cases, many people try to take advantage of the space to keep moving, and an electric treadmill like this is perfect. Its folding design with wheels and just 53 Lbs of weight make it easy to roll but remains very stable. It is able to hold up to 250 Lbs/113 Kgs. A 600W motor power and a LED panel with scan, speed, calories, time and distance complete the features. But, how do you turn it into a desk? Just add a keyboard and a rotatory monitor (not included), and you will be ready to work while jogging to lose some extra fat. If you like running so much, this is the treadmill for you. Its powerful 1100W motor allows you to run from 1Km/h up to 10Km/h. It is also made of strong steel and cushioned deck for helping your ankles, knees, and feet to recover faster. It is foldable with a safe and smart design. You can control speed from the handlebars without losing concentration and rate. A control panel to increase and reduce the speed feature, emergency stop button and preprogrammed courses complete the set of its features. This is the best design for small spaces. It measures 51” x 22” x 49.6” and 20.8” x 22” x 49.6” when folded. Although small it is still very powerful with a 1100W motor that allows you to run, walk and jog easily. It includes 2 water bottles holders, LCD control panel with the scan, time, distance, speed, and heart rate. It features built-in workout programs to keep you always working. Padded foam handrails are also included for maximum comfort. This a treadmill with all the functions and great power. It is built in high-quality steel. A safety key connects you with the machine and also includes an emergency stop button to offer double protection. Weight capacity is 220 Lbs and its measures of 39” x 14” lets you exercise comfortably. The LED control panel has a scan, heart rate function, time, distance, calories all of which are completed with the handrails functions of speed and start/stop. Although you are paying less money for your electric treadmill, you don’t have to settle for little. The options we showed give you plenty of features to choose from. The materials and technology that manufacturers use are some of the best available in the market. Therefore, what you really need to consider are your personal requirements. If you are an experienced runner, a short time walker, a rehab patient, or need a home-office desk that combines with your physical routine, will define the electric treadmill you select. The size of the space is also very important. As most of the treadmills are foldable, it offers you more flexibility to choose it. In any case, you can trust there is a model available for you. The materials are a crucial element to consider. Firstly, the primary use of an electric treadmill requires that they are strong to be able to support the weight and daily use. Sturdy steel for the frames as we showed in the models above, easily fulfill the requirements. When it comes to the panel, it is essential to verify what type of functions you need. If you have any medical condition, it is critical that it has the type of function that better fits such a condition. On the contrary, if you are just trying to improve your shape or doing it for fun, you can be more flexible and check for entertainment features. Exercising might be boring sometimes. That is why it is important to find a variety of features that can enhance your routine at any time. LED panels, handrails, different levels of power, and exercise programs, are among the features that can add significant advantages to your treadmill. 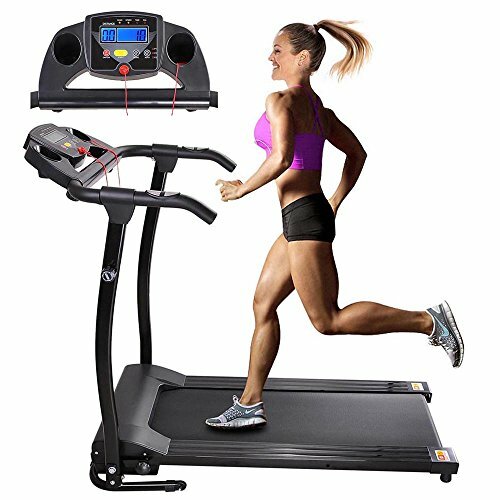 Fortunately, the best electric treadmills with price below $200 offer many of them. The design and adjustability should also be according to the size of the place you plan to use it. Even when you have plenty of space to locate your treadmill, foldability is also an important feature to consider. At some point or another, moving it around may also enhance your routine. If the treadmill includes wheels, it considerably eases the movements. A first look can make you think there are not too many options available for selecting the best affordable electric treadmills. But after checking all the models mentioned in this article you can easily see that it’s simple to find an option that better fits your needs. Small spaces, specific medical conditions, and boring exercises are not valid excuses. 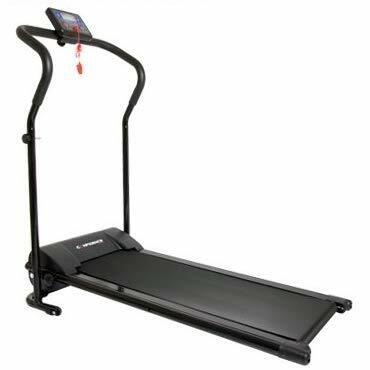 There are electric treadmills with many features and the last technology and materials available. You are probably asking yourself countless times why it is so important for you to have a humidifier in your home. Well, here’s what you need to know; the amount of water vapor in your surroundings tends to change over time. Sometimes it is high and some other times it is low. Now, these fluctuations in humidity levels in your surrounding are not good for your health, and neither are they good for things around your house like furniture, artworks, and books among other materials in your house. None of us would appreciate a self-inflicted disease that could have been avoided by simply acquiring a humidifier. However, the buying process can be a bit challenging and discouraging – especially if you have no idea what to look for in a humidifier. Luckily, we are here for your rescue. Our reviews cover analyses of individual humidifiers together with a detailed buyer’s guide that will ensure your buying process is a lot easier and hassle-free. After reading this review, not only will you have the background of the different types of humidifiers, you will also be in a position to tell which one is the most compatible and suitable for your needs. Now, read on for more details on the best humidifiers for large rooms. This is a combo humidifier providing both cool and warm mist to combat fluctuating humidity in your large room. It is designed with cool features that make it the perfect solution for health complications such as nose bleeding, allergies and other breathing disorders. 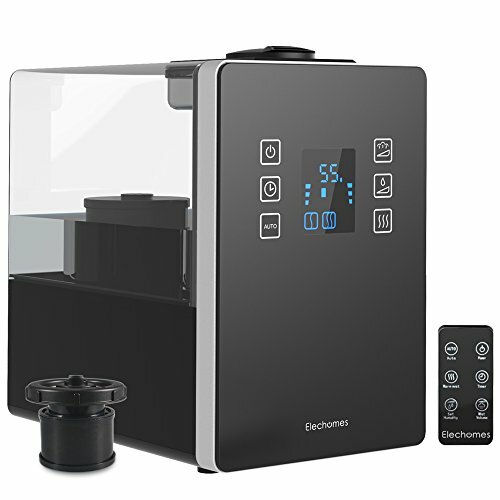 If you or a member of your household is asthmatic, then the Elechomes humidifier would be the perfect solution for you. It is easy to use thanks to the modernized LED touch control panel. 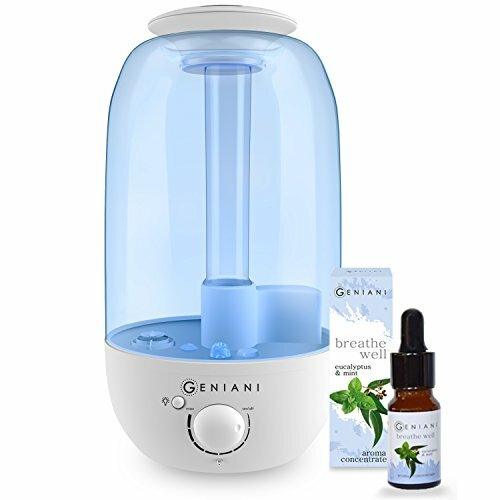 One of the outstanding features of this humidifier is the resin water soften technology. This means that it comes with an in-built filter that sieves both germs and mineral elements responsible for water hardness. Therefore, you are guaranteed to get only pure and healthy mist sprayed into your surrounding air. Apart from the built-in filter, this ultrasonic humidifier also features an intelligent humidity control technology which automatically adjusts to the right level of humidity at any given time. Just as the name suggests, the Everlasting Comfort Ultrasonic Humidifier offers an eternal relaxing comfort that gives you the much-needed peace of mind. Being an ultrasonic humidifier, it is silent and comes with great technologies to supplement the natural environment in your surroundings whether you are at home or in the workplace. 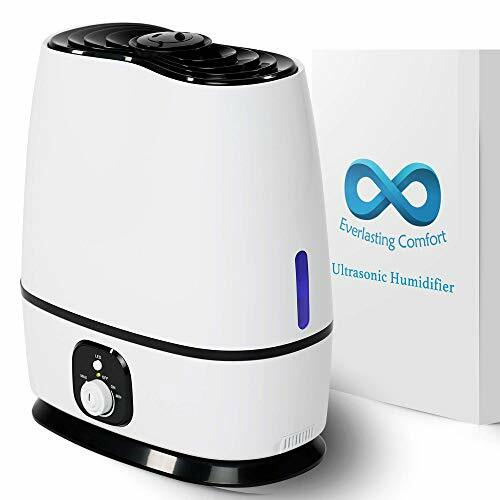 Frankly speaking, there is not a single feature that you will miss in the Everlasting comfort ultrasonic humidifier yet it comes at such an unbeatable price point. Some of the features of this humidifier include a large water tank with a capacity of 6 liters which makes it reliable for a whopping 50 hours without refills. 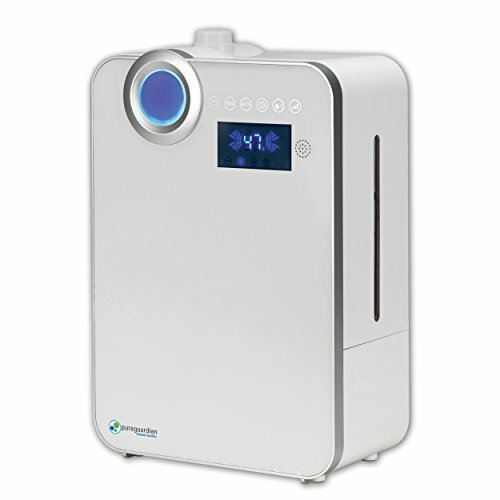 This humidifier can serve a large room of up to 400sq. ft. It also comes with an integrated oil diffuser and an innovative filterless design that exempts you from the need to filter germs from the water. This feature makes it easy and cheap to maintain the Everlasting comfort ultrasonic humidifier. Its mist output is rated at 270 ml/hr. Functions flawlessly in large rooms of up to 400 sq. ft. 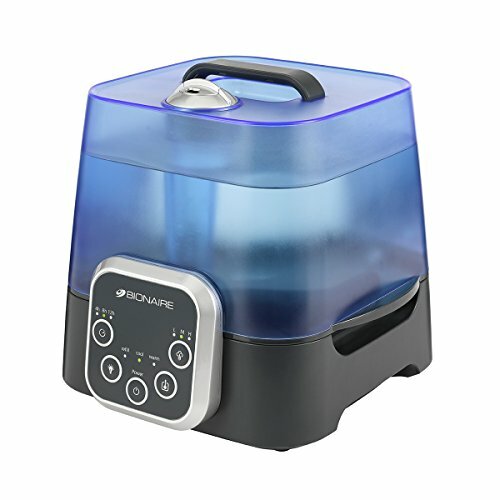 The MistAire XL Ultrasonic Cool Mist Humidifier is designed with unique features that make it one of the go-to humidifiers in the market. It is among the ideal must-haves of the best humidifiers for large rooms both at home and at the office. Other than regulating the humidity levels in the room, the MistAire XL Ultrasonic Cool Mist Humidifier also adds an aesthetic touch as a compliment to the design and decoration of the house. It is an ideal humidifier for both single and dual nozzles to give you that customized moisture. Even though the MistAire XL Ultrasonic Cool Mist Humidifier lacks the fancy technology to automatically adjust the levels of humidity in the room, it has an adjusting knob that allows you to select the most suitable humidity level for your room. Also, this humidifier comes with three decorative color settings that you can choose from and these include red, blue and green. Its specifications include a 4-liter water tank, 10-24hr continuous operation and a coverage of 500 sq. ft. rooms. 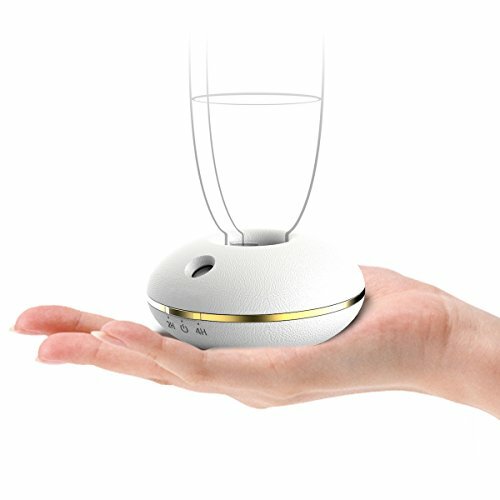 The OPOLAR LED is a cool mist ultrasonic humidifier that comes with health-friendly features to protect you from respiratory and skin-related complications that result from fluctuating humidity. 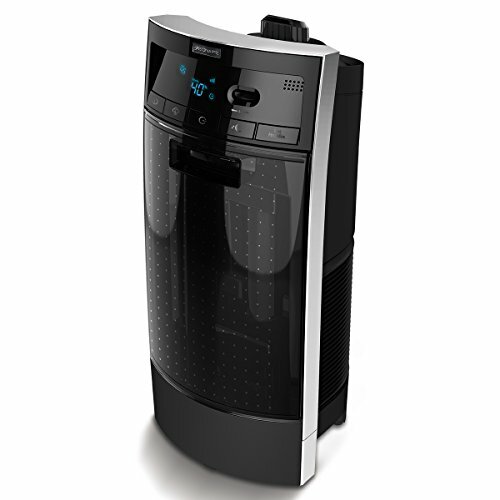 It comes with integrated filters that get rid of bacteria that cause bad odor in the room. If convenience is what you are looking for, then your search is over because with this humidifier, you get to preset you desired settings and then sit back and relax enjoying an optimized level of humidity in the room. Its design has a matte black finish and a large LED screen that makes it a great addition to the decorations in your room. The OPOLAR cool mist ultrasonic humidifier is without a doubt one of the best humidifiers for large rooms that you can count on for a healthy and comfortable living room, bedroom or office space. 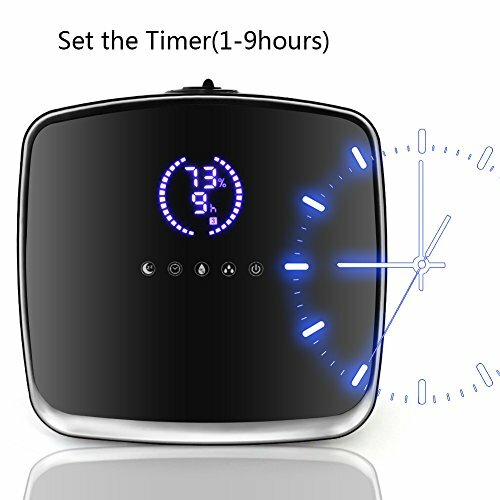 It features the sleep mode and timer mode as well as three mist control modes to ensure that what you get is a great and comfortable experience throughout the 14 hours that it will be running. For optimum results, this humidifier should be used in rooms not exceeding 325 ft2 because anything beyond this size will strain the 0.8 gallon water tank. 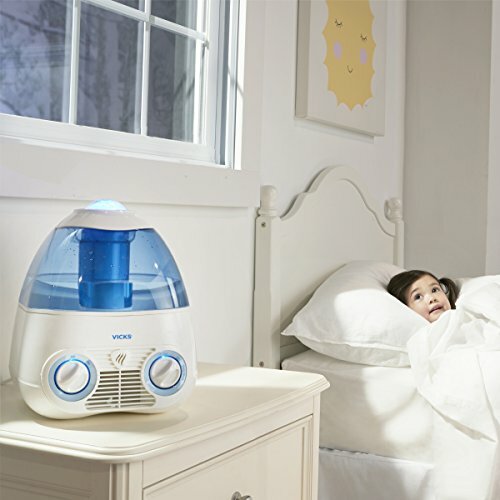 The Sparoma Ultrasonic humidifier is a cool mist humidifier that is ideal for a child’s room. It is suitable for large rooms of between 350 and 450 square feet. The Sparoma Ultrasonic humidifier features a 360 degrees rotatable nozzle and a runtime of 20 to 36 continuous hours. Being an ultrasonic humidifier means that the Sparoma Ultrasonic humidifier is very silent when running, which makes it the most ideal for a baby’s room or a nursery. It is also made of high-quality ABS material that is leak-proof to guarantee durability. The Sparoma Ultrasonic humidifier comes with 6 nightlight options that you can choose from and they include purple, green, red, pink, yellow, and blue. And to inspire even more confidence, the manufacturer gives you a free replacement policy and a one year warranty, which provides you with the peace of mind that comes with knowing you have a durable and reliable humidifier. Its price is also very affordable for that budget shopper who is cautious not to overspend. Buying a new humidifier that will suit your needs requires that you have basic information beforehand. Here, we are going to share with you some of the factors that you need to consider before you set out to buy a new humidifier. Humidifiers have different ways of propelling moist air into the home atmosphere. It should be noted that the propelling mechanism is a great determinant of the maintenance options available for you. Knowing what type of humidifier you are buying, you are in a position to appropriately prepare for any maintenance procedures that will be required of you. This, in turn, enhances the levels of positive user experience associated with a particular model. Humidifiers are known to prevent the occurrence of respiratory and allergic complications in the members of the household. They are also great for alleviating some of these conditions. For instance, a warm mist humidifier is great and soothing for those who have a flue or a cold. They also have features that provide protection from germs. If you have children in the house, you should ensure that you select a humidifier that is friendly to a children’s environment. Should You Put A Humidifier In Your Bedroom? This is an indispensable consideration that you cannot overlook when buying a new humidifier. You do not want to go for one that is too expensive or one that is too cheap. Remember that a high price tag does not necessarily mean the quality is good. You need to stick to your budget to avoid any imbalances that would result from an overblown budget. The best humidifiers for large rooms are not necessarily highly price. Therefore, with a little research, you can get the satisfactory humidifier that will serve you sufficiently. If you want to get your hands on the best humidifiers for large rooms, you can start by making sure that you do some research. Most people end up with undesirable selections that don’t give them the value for their money because of doing this in a hurry. By reading our review, you can avoid making a similar mistake and end up with a humidifier that will give you the value for your money. If you are having problems with your nose, you are doing it right by searching for the best humidifier for sinus problems. Usually, these types of humidifiers offer extra features that may add significant advantages to help you get alleviated. Medical conditions require better designs for certain devices. Fortunately, the best humidifiers for sinus have been designed taking that into consideration. As you start your search for the best humidifiers for sinus, keep in mind that your condition may vary throughout the year. Also, if you suffer from a chronic disease, portability may seem a key factor to check. Having your humidifier always available is essential to keep the condition under control. 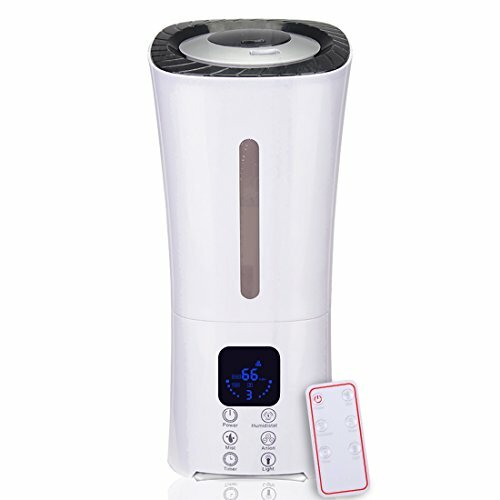 The ultrasonic cool mist Homasy humidifier is a complete device. But, its cleaning system stands out above all. Firstly, it includes a set of unique and powerful stones to filtrate the water. Secondly, the filter and the whole humidifier is made of anti-bacterial material. Thirdly, its fully transparent design makes it easier to detect any dirt, blots or mold that may appear without having to wait it stops functioning. In addition to all that, its running capacity is up to 10 hours as it holds up to 2 liters of water. To refill the water, you just need to remove the cover and add the water. Three different levels of mist with sleep and whisper ultra-quiet modes make it ideal for day and night. Treating pediatric sinus can be very challenging. Whether it is acute or chronic, with this humidifier you combine the best quality and design with a unique starry feature that will delight your children. This model receives 1 gallon of water that allows it to run up to 24 hours. The self-regulating evaporative system automatically adjusts its output according to the moisture of the air. It can also enhance a calming environment by inserting Vick VapoPads with menthol. It is available in 2 translucent colors, blue and pink, which allows you to monitor the level of water easily and pick the best for your boy or girl. Sinus episodes can follow you wherever you go. If you are a frequent traveler or just need your humidifier for occasional trips, this is definitely the best choice. Its small size makes it ideal for packing it in your bag or suitcase. It works with ultrasonic technology for noise-free operation. It can operate with batteries, USB power cord and plug into an outlet. You can use any regular size water bottle and it is as powerful as bigger units. Its innovative timer function can be set for 2,4 and 6 hours, and it automatically shuts off after 8 hours. The OPOLAR humidifier has a state-of-the-art design that combines perfectly well for large, modern and contemporary spaces. Its capacity for 4 gallons of water allows it to run up to 26 hours without a refill. The humidity system allows you to control the 3 levels of mist by adjusting it to the level of humidity displayed by the humidifier. It also has an auto mode which allows the humidifier to set up according to the relative humidity and temperature. The 360° nozzle fits perfectly for large spaces as it may cover the whole environment. The digital panel makes it easy to operate it. Strong sinus episodes may lead you to experience an overall sense of exhaustion. This is why any extra help with your daily routines is always well received. This is exactly what this humidifier does. It includes a remote control and still maintains the fest features as one of the best humidifiers for sinus problems. Rubeder Ultrasonic runs up to 15 hours with a gallon of water. The humidifier automatically shuts off after setting the time in its built-in timer for 1, 2, 4 and 8 hours. The range of the remote control reaches up to 13 ft.
Humidifiers are massively used for dry periods of the year, but people suffering from chronic sinusitis require to use them all year round. This is why it is very important to select models and designs with the best quality and durability. In addition, cleaning and maintenance features are highly recommended, as the condition requires strict sanitization measures to get the best and safest comfort. The most outstanding qualities of the best humidifier for sinus problems are related to the materials they are manufactured with, the level of humidity they can handle and the ease of maintenance. Therefore, when selecting one of them, you should take these features into consideration. Nowadays, the technology offers many advantages and manufactures continuously innovate in the way they use it. In order to take care of your health, you don´t need to give up on fashion and design. The availability of models cover many options and you can combine them with your spaces, either at home, the office and even the car! The price range may vary according to the functions they include, the size and the advantages you may get. In general, humidifiers are built with plastic or aluminum. When they include plastic, it would be convenient to consider what type of plastic is used. Currently, there are BPA-free plastics which are recommended for these products. In any case what is really important is the cleaning routine you use. Every humidifier includes a set of instructions on how to complete the cleaning process. They show how to open the unit, the frequency of cleaning, what type of products you can use and the smallest details you must go through to make sure the unit is mold and bacteria free. People with sinus problems might be extremely sensitive. This is why it is very important to pick a humidifier with different levels of mist. Some of them may also include automatic functions to level the humidity when it falls from any given measure or gets adjusted to level the natural humidity. You have a wide range of options. As people with sinus may use the humidifier for long periods of time, quality and durability are essential to make the right choice. Some brands are very well known for their quality and it would a good indicator. In addition, warranty times may also be used to measure quality. Medium size and bigger seem to be more durable. But small ones may result extremely good too if they follow strict conditions when are being manufactured. Sinusitis should not represent a big problem. What really matters is the way you handled it. In addition to medications and proper care, humidifiers are an excellent and natural way to improve your condition. Nowadays, there are many options available and prices do not represent a significant obstacle. To obtain the best benefits of a humidifier, selecting the best option and cleaning the unit according to the instructions will give you all the benefits you expect. Better health, safety, and protection from the potential health hazards are the things we need to prioritize in life. Nowadays, technology is one of the best allies to do it with safety and comfort. For those natural dry periods of the year, humidifiers have become a must-have artifact at home or the office. They help you to alleviate, an even eliminate, annoying symptoms such as itchy eyes, dry skin, cracked lips, and congested nose. Not to mention that some wood materials and even the structure of your home can be at risk due to the exposure to excessive dryness. In the last years, humidifiers have taken a step further by adding new features that make them more comfortable and safer to use. One of the most outstanding of those features is the lack of filter. It provides a lot of advantages and has fostered manufacturers to create a wide range of models to satisfy the most demanding customers. This Pure Guardian model has all the necessary functions. It is perfect for mid-size rooms as its tank allows up to 1.32 gallons of water, which includes a low-level indicator. The runtime capacity reaches up to 90 hours. It’s a simple but elegant model in a white box that combines with any décor and a digital display that makes it look modern. What makes it special is the double function of warm and cool mist. Larger areas may use the cool function and smaller rooms can use the warm function. It also features sensor monitors that allow adjusting the level of humidity. Its dimensions are 13.98 (H) x 9.76 (W) x 5.12 (D) and this is a noise-free model. If you are looking for the best price, it is definitely a must try. It is a simple model but still very powerful. It features a one-gallon tank that allows a run capacity up to 24 hours. 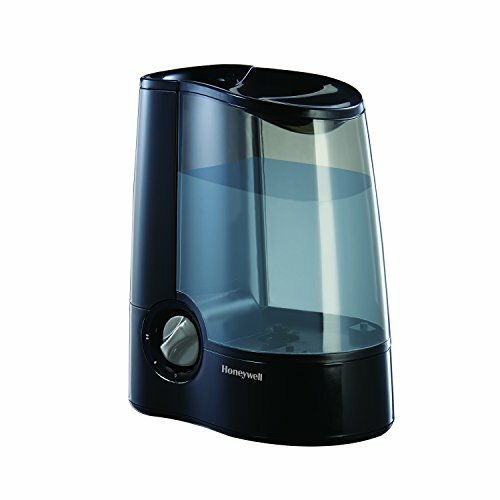 Honeywell HWM705B has two output settings and this humidifier is very quiet – especially on its lowest setting. The model includes a medicine cup for adding liquid inhalants what makes it ideal for strong needs. This filterless humidifier is made of reinforced plastic. Its tank capacity is 2.4 liters of water and can run up to 48 hours without a refill. It automatically shuts off when it reaches the lowest water level. Geniani Ultrasonic is perfect for bedrooms as it features a nightlight. You can add essential oils to the water while keeping all its functionalities. You can also adjust the direction stream with a 360° nozzle. The high quality of this model allows its fabricants to offer a two years warranty. 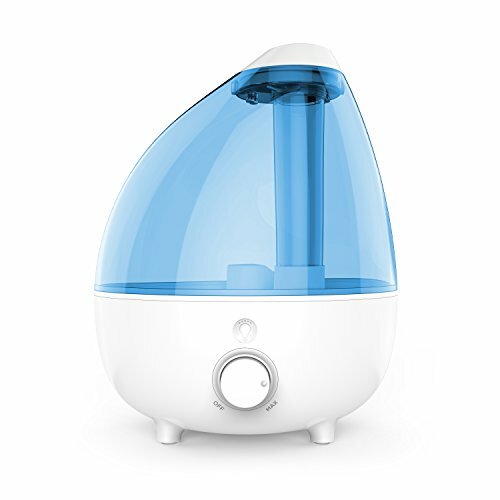 Due to its ultrasonic technology, it is a quiet humidifier. This is a perfect option for small offices, spas, bedrooms and any other places where calm is important. This is an excellent choice for large rooms. Its 2 gallons tank make it run for many hours without having to refill it. It includes three humidity settings which make it flexible. You can use this humidifier for cool and warm mist. It consists of a demineralization cartridge that allows you more flexibility with the type of water you use. The humidifier is beautifully designed and has digital controls. Although it was initially designed to cover big rooms, its small and functional design in chrome black has made it win many customers for small rooms too. It has a 1,5-gallon tank with water level indicator. Bionaire Tower is extra quiet with ultrasonic technology and includes a nozzle that rotates. The user-friendly control panel makes life more comfortable, you’ll quickly get used to it, and it is fairly easy to operate. It also includes a nightlight and a clock which makes it a perfect fit for bedrooms. Despite all the information you can get about the best filterless humidifier, it is always like a little adventure to choose the model which will be perfect for you. Therefore, in addition to our reviews, the best guide to buy your best option will always be your own needs. As you have read above, humidifiers come in many different sizes and styles that can match your décor. In addition to this, it is also essential to remember who will use it and how many hours a day it will be used. Most of the humidifiers bring their warranty conditions, so verify what makes you feel more comfortable. In general, 2-year warranties or longer are an indicator of better quality, but take this only as one indicator and consider other aspects too. Lower prices can make you suspect of the quality, but it is not always the truth. There are great filterless humidifiers that offer all the basic functions and work perfectly well. So, what are the most critical features you should check when selecting the best filterless humidifier? At first, both accomplish the same goal. However, it is important to consider that warm humidifier is supposed to be cleaner, as the warm air can kill the germs more effectively. If you have children, perhaps it might be more secure for them. But at the same time, you must take into consideration that it is a risk to keep a warm object close to them. It will depend on the space you plan to use to install the humidifier. One of the main features of filterless humidifiers is the easiness to clean them. However, it doesn’t mean they do not require some effort. If this is important to you or you have a busy lifestyle, make sure you find one humidifier that includes some antibacterial technology. It is also important to check how difficult it is to open the equipment before cleaning it. Usually, the run capacity depends highly on the size of the tank. Bigger tanks also mean bigger humidifiers. You must combine information about both things to make your final decision. Determining in advance where you want to place the humidifier is essential to make your decision. Humidifiers are commonly used at night. So, if you have problems to sleep with sounds, it is vital that you select equipment with ultrasonic and cool technology. Some models without the ultrasonic tech have different levels of noise according to the output settings. If you like the model and price of one of them, you can verify if this feature is enough for you. When it comes to the humidifiers, one being filterless is by far the best option you have these days, but the wise choice of the best filterless humidifier is highly significant. They combine the best technology and the variety of models, prices, and sizes guarantee that you can find one that fits all your needs. Their flexibility and the fact that you can quickly change them from one place to another makes it easier for you to make your final decision. What really important is that you obtain what you expect. All the information you collect is necessary to make your final decision.